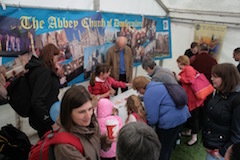 Once again there was a great turn out at Heart and Soul in Princes St Gardens and the Abbey Stall was very busy for the whole afternoon! 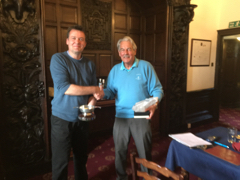 Read more"Heart and Soul 2016"
Congratulations to Keith Rennie on winning this years Abbey Quaich played on a lovey day at Dunfermline Golf Club. Well done also to runner up Robin Sharp and to Danny Williamson on winning the Session Prize. Special thanks to Graeme Findlay for once again organising an excellent competition. Read more"You are a City on a Hill"
The sermon preached on Sunday 1st May 2016, at the 11am Service, in Dunfermline Abbey by Rev MaryAnn R. Rennie. 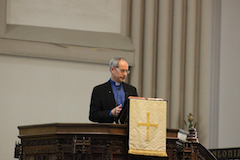 The sermon preached on Sunday 24th April 2016, at the 11am Service, in Dunfermline Abbey by Very Rev John Chalmers. Read more"Airborne Alliance Annual Muster"
The sermon preached on Sunday 24th April 2016, at the 9.30am Service, in Dunfermline Abbey by Rev MaryAnn R. Rennie.